Every trained physician knows that diagnosis precedes treatment. We have to understand what is going wrong before we attempt any kind of solution. Auto mechanics engage in the same process: they listen to the engine, look under the hood, and run tests before they identify problems and begin to fix them. Too often, traders attempt solutions for their trading problems before they've truly understood the sources of those problems. Equally often, mentors and coaches of traders offer their solutions without actually going through a thorough diagnostic process. In this post, I will model for you a way of thinking that can help you identify what might be going wrong with your trading. This way of thinking is anchored by several important questions. Question #1: Is there actually a problem here? This may seem like a strange question. You've just drawn down; you've been frustrated in your trading. Of course there's a problem! The issue, however, is a bit more subtle. Any successful trading is still a probabilistic enterprise. Hit rates and Sharpe Ratios don't grow to the sky; people are fallible and markets embed a fair amount of uncertainty. As a result, losing periods are inevitable and frustrations will be encountered. Just as we expect baseball hitters to strike out every so often and football quarterbacks to throw incomplete passes on occasion, we can expect losing trades. A trading approach with a 60% hit rate could be phenomenally profitable, but it will still encounter strings of losing trades with regularity. What this means is that we begin the diagnosis by examining a meaningful sample of past trading, not just the last few days or trades. A frequent day trader making many trades a day might look at the month's results and compare with results from the past year. A longer term trader might need to assemble data over a year or more before confidently identifying a problem. In other words, to identify a problem, it's necessary to see that recent results fall short of past ones and that recent drawdowns are not similar to past ones. That requires a proper historical view. When traders assume that a problem exists without a sufficient historical analysis, they run the risk of tinkering with methods that work and making those methods worse. This is very true when traders begin to trade systems. They become discouraged when the system has a (normal and expectable) drawdown, so they begin to change the system, front run the system, etc.--only to turn the setbacks into protracted slumps. Sometimes traders are taking too much risk--trading position sizes too large for their actual loss tolerance--and those strings of expectable losing trades create a "risk of ruin" situation. In such a case, the trader can look at hit rates and average win/loss statistics and determine whether the problem is in risk taking or if the actual performance of the trading methods has changed. All of this is a strong argument for keeping detailed performance metrics on your trading. Only by comparing recent performance to past performance can you understand if you truly are improving in your trading or having an actual problem. If you're a beginning trader, then you would compare your recent returns to the returns you achieved in simulation mode. (For more on trading metrics, see this post; also this post. A detailed treatment of trading metrics can be found in Chapter 8 of The Daily Trading Coach). Question #2: If there is a problem present, is it associated with a change in the market(s) you're trading? My first hypothesis when I encounter a trading problem (my own or that of an experienced trader) is that the problem has occurred for a reason, and that reason is related to a change in how markets have been trading. Because of those changes, the methods that had been working no longer command the same edge. A great example of this has been the recent decline of volatility in the stock market. Many, many traders who made money from momentum and trend trading have suffered during this low volatility period because moves no longer extend and, indeed, tend to reverse. That, in turn, leads to frustration and discouragement. The key tell for when trading problems are related to changes in markets is that people trading similar strategies are also experiencing performance difficulties. This is one reason it's important to have a broad network of trading colleagues, even if you trade independently. If the great majority of traders trading similar styles are also experiencing drawdowns, you can safely assume that not everyone has turned into an emotional basket case at the same time. Performance indexes for various hedge fund and CTA strategies are available from industry sources and can help identify when certain approaches are winning and losing. For example, the Barclay's short term trading index (STTI on Bloomberg) tracks the returns of professional money managers trading short term momentum and trends. The performance of those managers over the past year or two has been dismal, again related to the collapsed volatility of markets in the wake of low interest rates around the globe. If your trading problems are widely shared and can be linked to shifts in how your markets have been trading, no psychological exercises in and of themselves will solve the problem. Nor is it a solution to put one's head in the sand and hope that markets will "turn around". Rather, the answer to the trading problems is to adapt to the new environment and search for fresh sources of edge that can complement one's traditional trading. For example, one might find mean reversion or relative value strategies that nicely complement one's directional/trend/momentum trading. The combination of trading approaches truly diversifies returns and produces a smoother P/L curve. (See Trading Psychology 2.0 for a detailed presentation of adapting to changing markets). Question #3: If there is a personal problem present, is it--or has it been--present in non-trading parts of your life? Here is a very, very important issue. Many personal issues, such as anxiety, anger, depression, attention deficits, and impulsivity, show up in trading, but not exclusively within trading. For example, a person might have trouble with patience and frustration in personal relationships, and those same problems crop up in his relationship with markets. Similarly, a person might have self-esteem problems in life that then show up as negative thinking patterns during periods of market losses. When the emotional patterns, thought patterns, and behavior patterns that interfere with trading are also occurring and interfering with other aspects of life, that is a strong indication that simply working on trading will not be sufficient. It makes sense to seek professional help. The great majority of psychological challenges can be dealt with via short-term approaches to counseling and therapy. Research suggests that problems such as relationship difficulties, depression, anxiety, and anger can benefit significantly from cognitive, behavioral, psychodynamic, interpersonal, and solution-focused approaches. (A thorough review of research and practice in this area can be found in the textbook that I have co-edited. A new edition will be coming out late this year). The key to brief approaches to therapy is that they are highly targeted and make active use of exercises and experiences during and between sessions. In situations in which the psychological problems have been longstanding, when there has been a family history of similar problems, when those problems have been severe (significantly impairing important areas of life), and when those problems have been complex (impacting many areas of life, as in drug or alcohol abuse), longer-term approaches to helping are generally indicated. Attempting short-term approaches to help for more significant problems runs the risk of relapse. When problems have been longer standing, severe, and complex, it often is the case that more than one form of help is required, such as medication help in addition to therapy or group sessions (as in A.A.) in addition to counseling. In such instances, it is very helpful to have a thorough assessment from a qualified mental health professional. If there is meaningful depression and/or anxiety, a workup from an experienced psychiatrist is helpful, as safe and non-habit forming medications often can play an important role in addressing the problems. Depression, anxiety, attention deficits, addictions, bipolar disorder, relationship problems--these impact a high percentage of people in the general population. Traders are not exempt from these general problems. Assuming that an emotional issue impacting trading is necessarily a trading issue may prevent you from getting the right kind of help. No amount of writing in a trading journal will rebalance neurotransmitters in your brain or solve the conflicts you bring to your marriage. When you see the problems affecting your trading also affecting other areas of your life, it's a strong indication that a more general approach to change will be needed. Question #4: If the problem you're facing occurs uniquely in trading settings, do you need psychological coaching or do you need further mentoring of your trading? Here again is an important distinction. Especially for newer traders, frustrations and other emotional problems arise in trading simply because they are still young on their learning curves. What they need is not simply emotional coaching, but guidance from experienced mentors who can help them correct trading errors and more consistently apply trading skills. Even experienced traders can encounter drawdowns and frustrations because they are making trading mistakes that a mentor can pick up. I recently worked with a trader who was very discouraged because of a drawdown that occurred simply because he was not closely monitoring correlations among his positions. What he thought were several independent trades turned out to be versions of the same trade once the central bank indicated a possible policy shift. He lost money because he was too concentrated in that one, converged trade. This is yet another reason why it's very helpful to be connected to networks of peer traders. Many times such relationships offer mutual mentoring that can address situational problems and mistakes in trading. When drawdowns and disruptions of trading are more psychological and situational, several psychological approaches can be helpful, including behavioral methods (exposure therapy) for anxiety and performance pressure; cognitive restructuring techniques for perfectionism, overconfidence, and negative thought patterns; and solution-focused approaches to identify and expand one's own best practices. (Specific applications of these methods can be found in The Daily Trading Coach; the creation of best practices is a major topic within Trading Psychology 2.0; an overview of cognitive and behavioral techniques for improving trading performance can be found in Enhancing Trader Performance). Behavioral techniques are skills-building methods that you practice in real time, during problem situations. You literally are teaching yourself new skills and new habit patterns. For example, a very simple behavioral technique would be to take a break during trading whenever you feel anxious, frustrated, bored, or discouraged. You quickly recognize that you're not in the right mindset for trading and you take a break from the screens. During that break, you might engage in other skills-building activities, such as relaxation training to slow oneself down and reduce tension. Behavioral methods are typically practiced outside of trading hours so that the skills become automatic in real time, when problems crop up. Cognitive restructuring methods are techniques that you use to identify and challenge patterns of negative thinking that can distort your emotions and interfere with sound decision making. Many traders, for example, become highly self-critical when they miss a trade or when they take a loss. This can interfere with their focus on the next opportunities. In cognitive restructuring, keeping a journal helps the trader become more aware of his or her thinking and challenge that thinking when it's harsh and negative--or when it's overconfident! Solution focused techniques are ones that examine what you are doing during your best trading, both in terms of trading practices/processes and psychological self-management. The goal of solution focused work is to "do more of what works" and become more consistent so that best practices can turn into repeatable best processes. Trading Psychology 2.0 contains 57 best practices contributed by myself and other traders; the chapter on Building Strengths also embraces a solution-focused approach to identifying what you do best and building your trading around it. 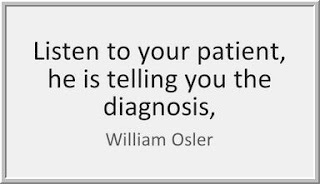 The bottom line is that how you work on your trading should reflect the diagnosis you make of your trading challenges. Sometimes we encounter challenges because of tricky markets; sometimes because of our psychology; and sometimes those challenges are just a normal part of risk and uncertainty in markets. In this post, there are quite a few ideas tossed out. For more information on those, you can simply Google the relevant topic by entering "Traderfeed" and the topic of interest. Thus, enter into the search engine "Traderfeed solution focused" and you'll see quite a few posts relevant to that topic. If you want even more depth and detail, the above book references will be useful. In an upcoming series of posts, I will identify 20 top challenges that traders face and highlight specific approaches to work on each of those. Yet another series will look more into detail into evidence-based techniques that help traders and when to use those. All of this is part of a grander plan to eventually link all the posts into a free, user-friendly, comprehensive online encyclopedia of trading psychology.